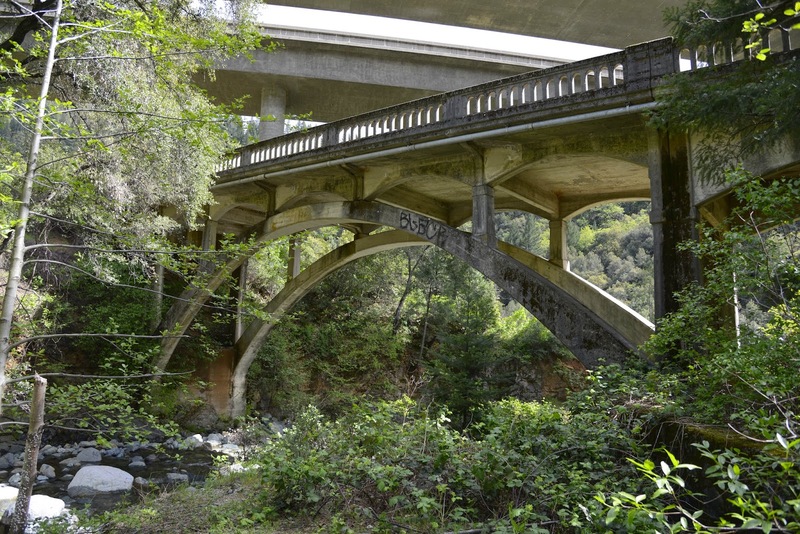 Today's photo is of the Interstate 5 Bridges (06 0193L/R) towering over the Highland Lakes Road Bridge (06C0349). I'd like to take dramatic photos of several bridges together, but it's hard when they're at different angles and in dense vegetation. I bought a drone to take better shots from above but I'm afraid I don't have the skills to prevent the plane from crashing into traffic. Shasta County, California Bridges: Boulder Creek Bridges (1) by Mark Yashinsky is licensed under a Creative Commons Attribution-NonCommercial-NoDerivatives 4.0 International License.